The wainscoting starts from the base molding and goes up to the 3-foot height. The rich faux alabaster walls continue up to the ceilings crown moldings. 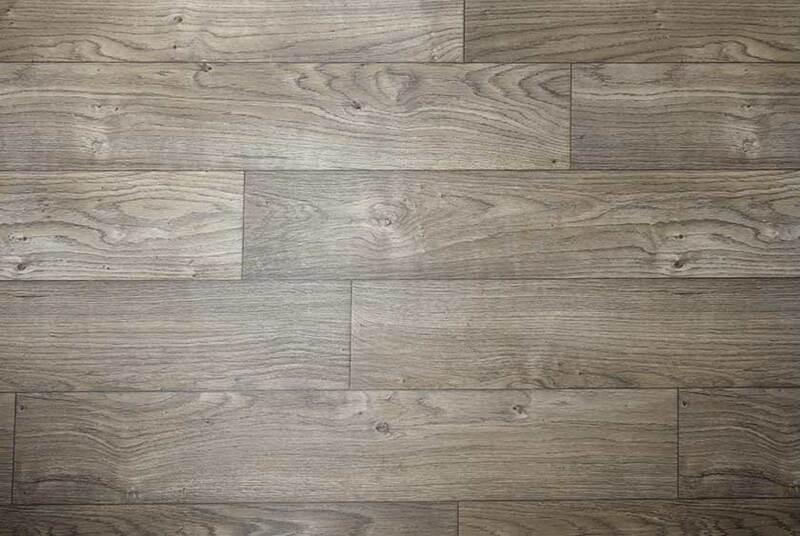 Armstrong wide plank wood ﬂooring brings a homelike feel to the interior. 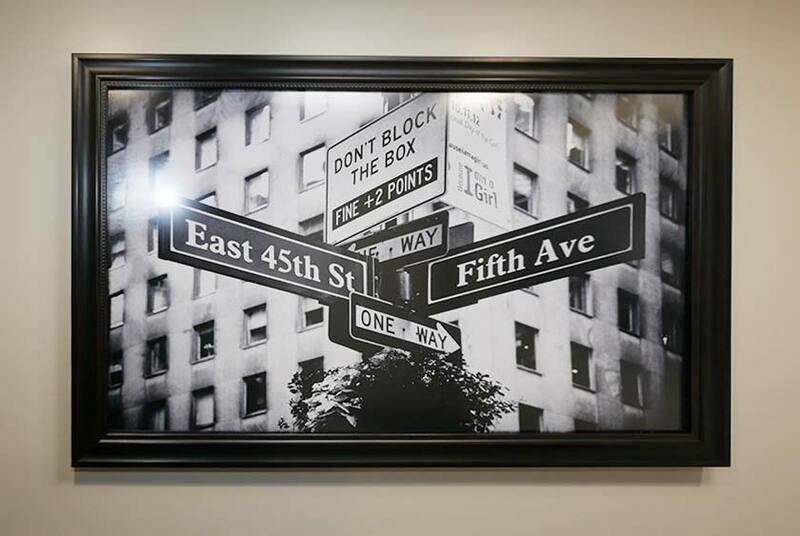 Black and white prints of New York City's famous FIFTH AVENUE hung throughout the trailer were carefully selected and custom framed. The vanity countertop is Corian marble with a stainless steel sink basin. A stainless Chicago brand single lever faucet provides hot and cold running water options. The designer antibacterial soap dispenser, hand towels, tissue holder and candy dish, are included to pamper your guests. The vanity mirror above the sink has LED hi-hat lighting. 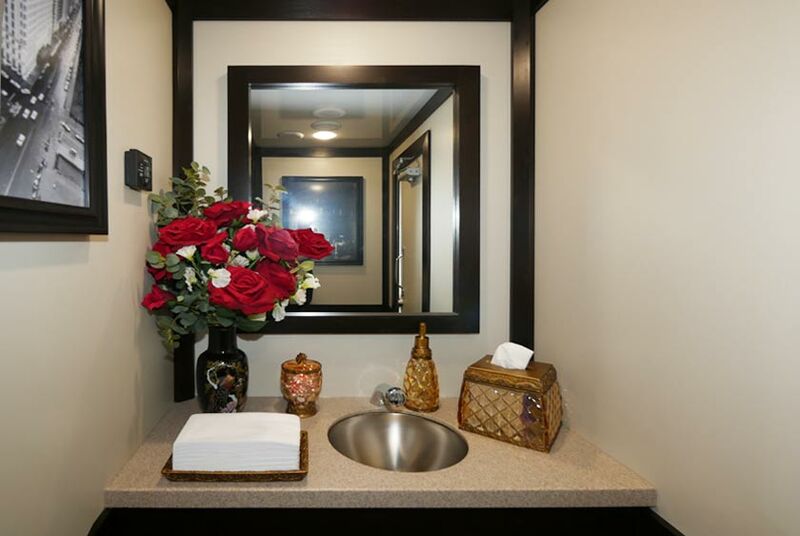 There is a built-in trash receptacle in the vanity countertop to help to keep the sink area clean. 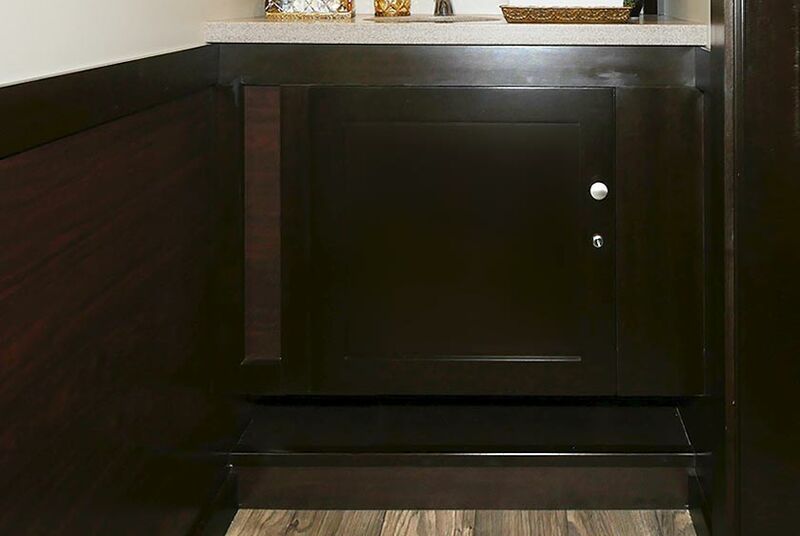 A storage cabinet beneath the vanity provides space for extra supplies. 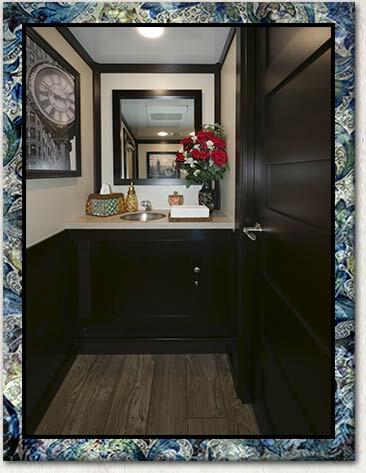 Class and elegance continue inside the FIFTH AVENUE Restroom Trailer with a beautiful ﬂoral arrangement in the vanity area. 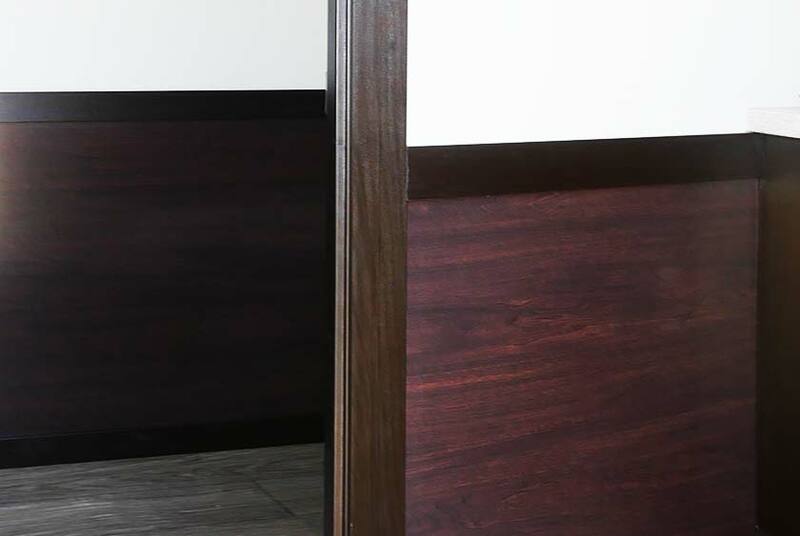 The women's restroom has a very spacious bathroom stall with a ﬂoor to ceiling lockable ebony stained wood door. 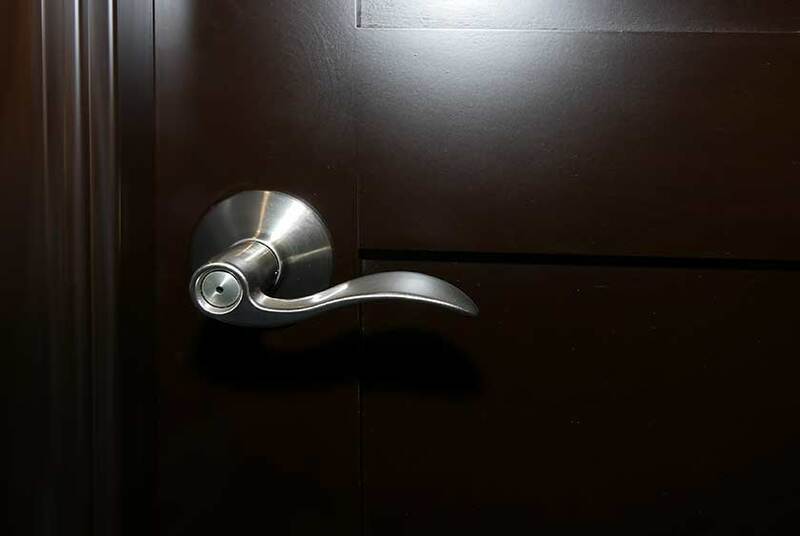 The door handle has a brushed nickel finish. 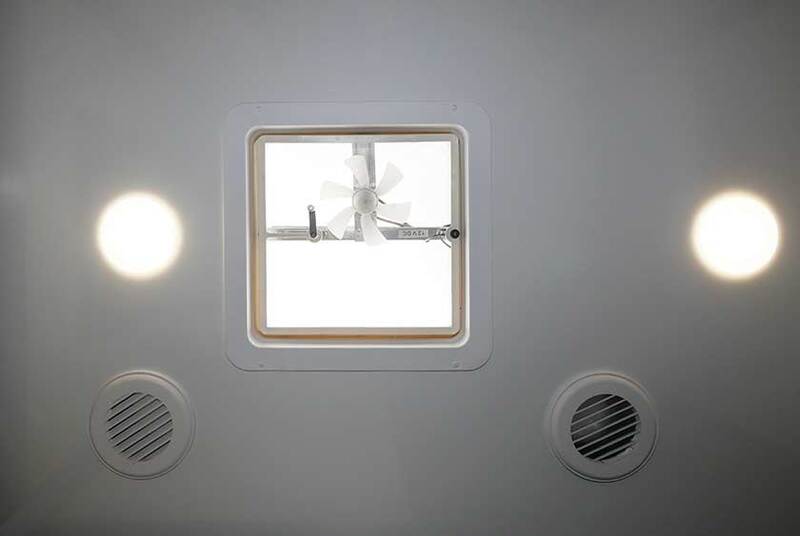 Inside the women's stall, there is a porcelain ﬂush toilet bowl, stainless double toilet paper holder, trash receptacle, and a ceiling vent. Custom framed art decorates inside the private stall. Inside the men's restroom, you will see all the same amenities and design just as the women's. The men's private bathroom stall has all the same features too. Custom framed artwork, beautiful ﬂoral arrangement, designer soap dispenser, hand towels, tissues, and filled candy dish are all included. 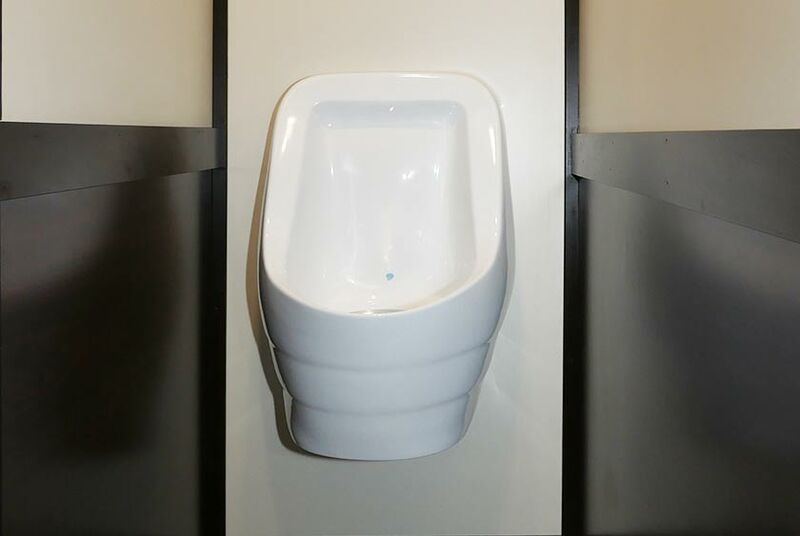 The men's side also includes a Sloan waterless porcelain urinal enclosed on three sides for privacy. Because of a special filter system the urinal operates odor free. 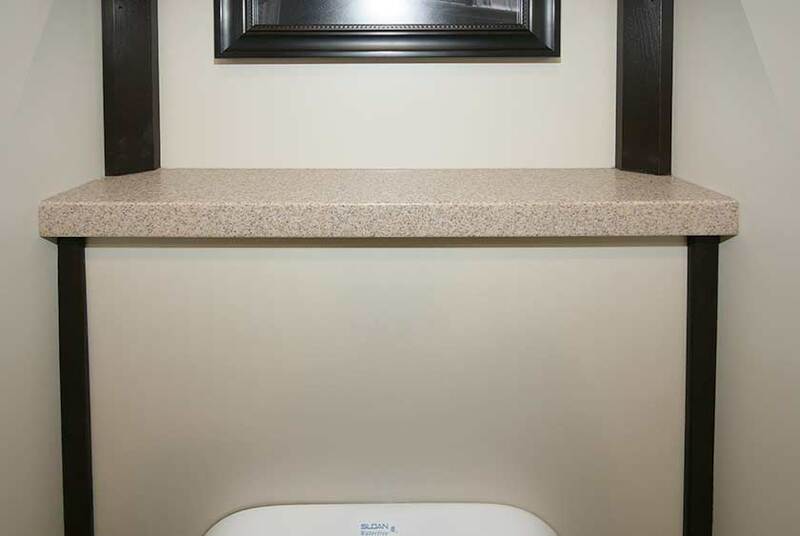 Above the urinal, there is a shelving area for convenience. Thermostat heat and air conditioning will make the FIFTH AVENUE comfortable any time of year. 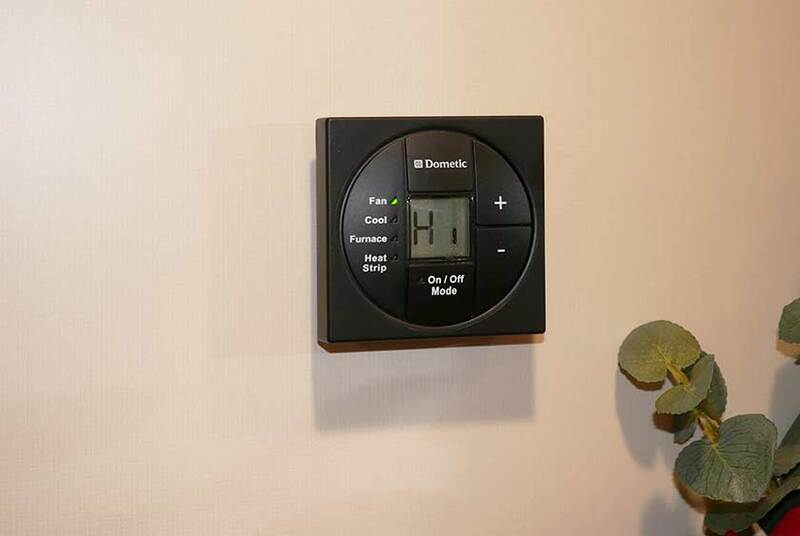 The fan forced wall heaters will make the restroom an ideal comfort in the coldest of winters too. 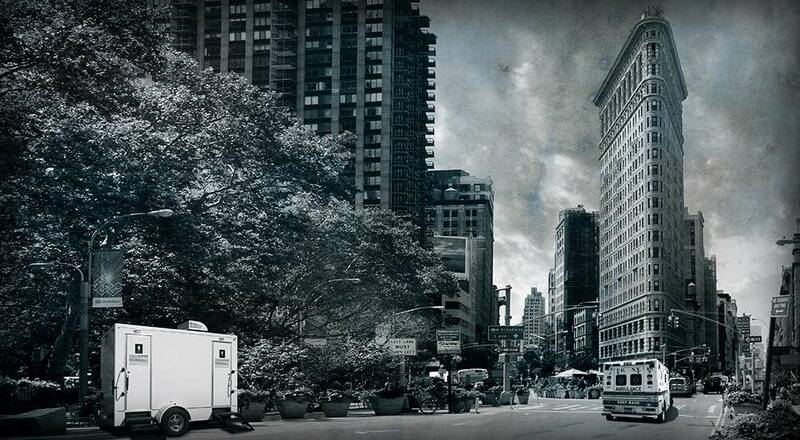 Conveniently, the FIFTH AVENUE Restroom Trailer runs on a generator or 110-Volt outlet. 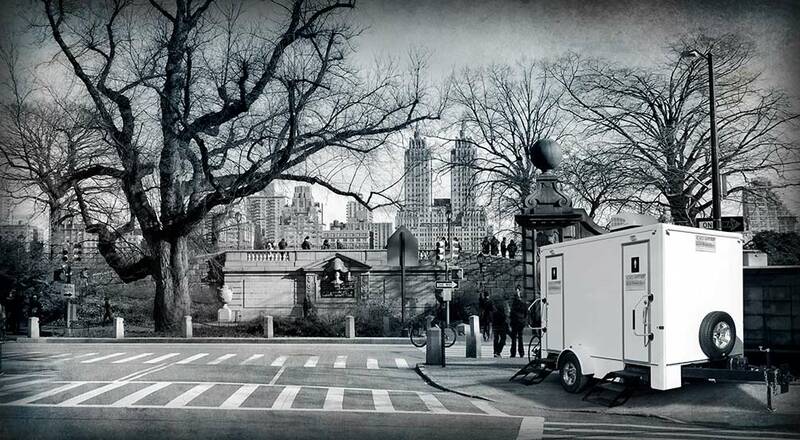 The FIFTH AVENUE Luxury Restroom Trailer is available for delivery throughout all of New York City's five boroughs of Brooklyn, Queens, Manhattan, Staten Island, and the Bronx as well as all of Westchester County, and Nassau and Suffolk Counties all the way to Montauk Point. 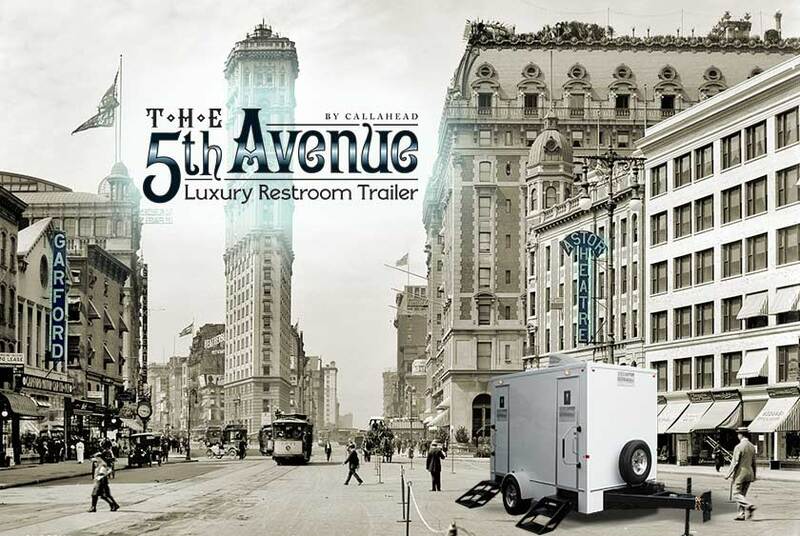 CALLAHEAD will deliver the FIFTH AVENUE Restroom Trailer by one of our profession uniformed delivery specialists. It will be professionally set-up and fully supplied with CALLAHEAD's VIP amenities in approximately 30-minutes. 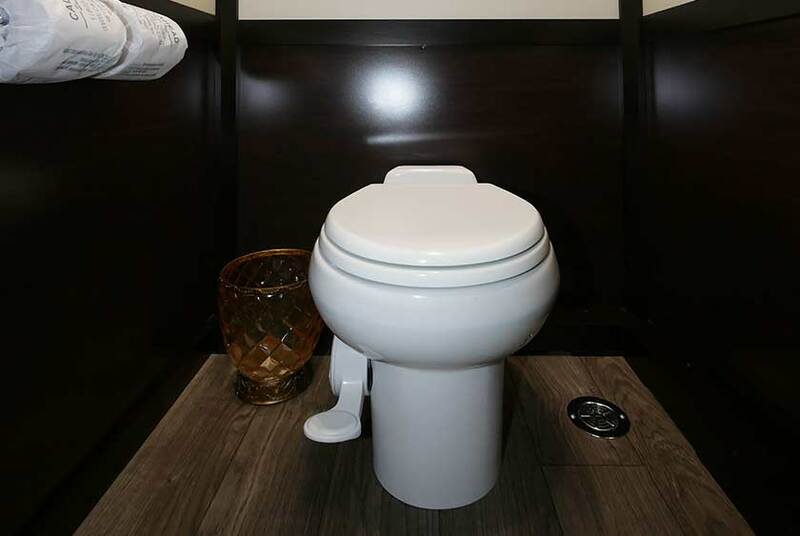 When you rent the FIFTH AVENUE from CALLAHEAD you know, you will be providing your guests with the cleanest restroom facilities available. 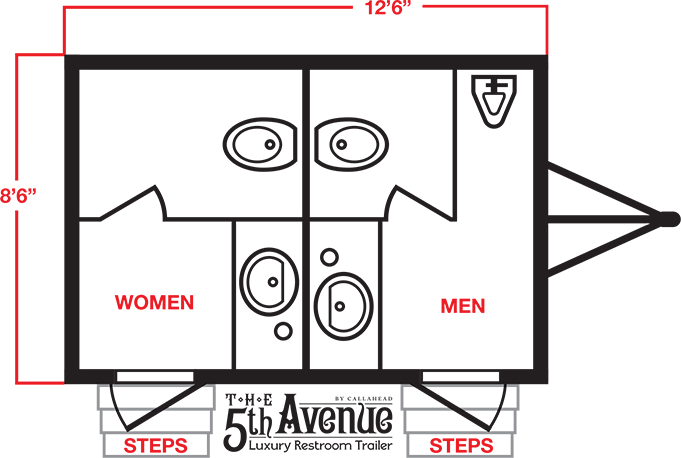 In business since 1976, we have decades of innovations and experience to deliver the very best to our customers. Also, because we use only hospital grade cleaners and disinfectants on all of our equipment, you can feel rest assured you are supplying clean and sanitary restroom facilities for your guests. 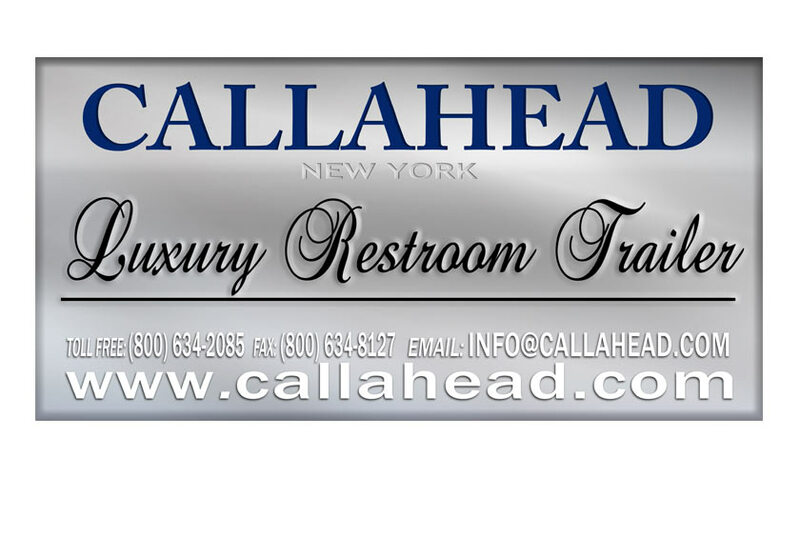 A CALLAHEAD professional uniformed restroom attendant is also available to keep the FIFTH AVENUE Luxury Restroom Trailer hospital-grade clean and filled with all the VIP amenities during the entire event. 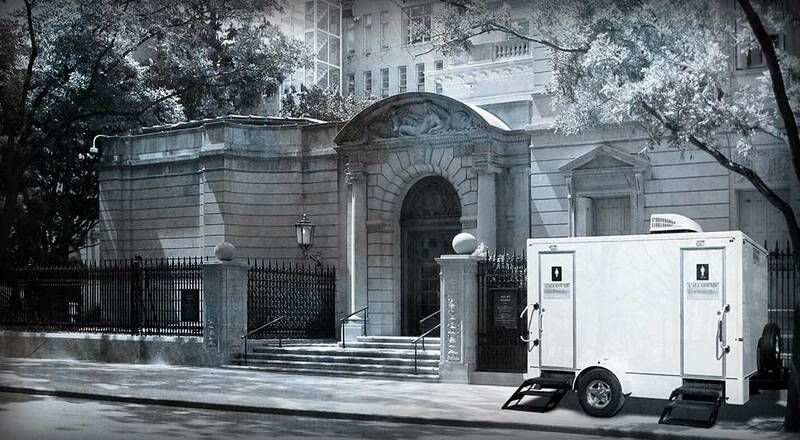 When you are planning an event that requires portable bathroom options, New Yorkers know CALLAHEAD is the best in the business to accommodate any portable restroom need. 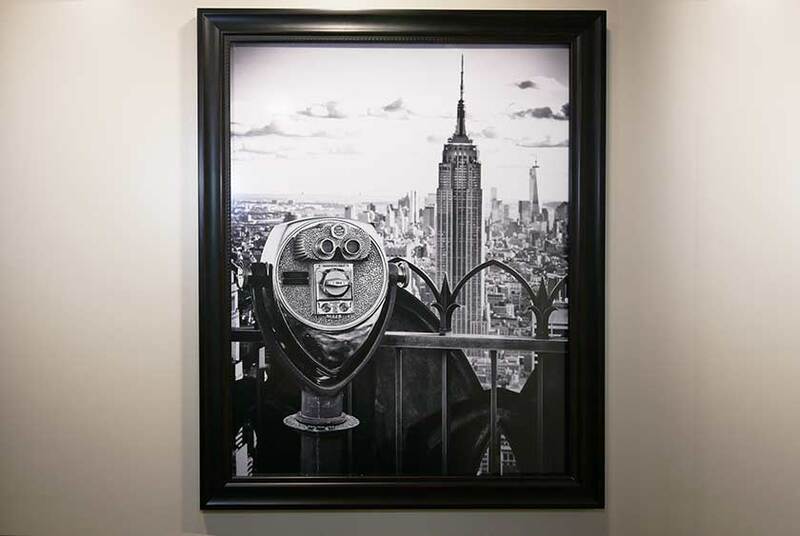 From the standard to the extraordinary and everything in between, CALLAHEAD NEW YORK has the experience and dedication to provide the world's best equipment and service for you. For more information about the FIFTH AVENUE luxury portable bathroom trailer or any of CALLAHEAD's state-of-the art equipment, including restroom trailers, VIP portable toilets, standard portable toilets, portable sinks, porcelain toilet systems for office trailers, guard sheds and ticket booth rentals, holding tanks, fresh water delivery, commercial portable sinks, portable hand washing sinks, antibacterial and hand sanitizing dispenser rentals, long-term or short term portable toilet rentals, long-term or short-term restroom trailer rentals, portable shower rentals, and portable storage shed rentals please contact one of our expert sales specialists at 800-634-2085 or visit our website for full photos, details and videos of our equipment for all your portable sanitation needs at www.callahead.com. 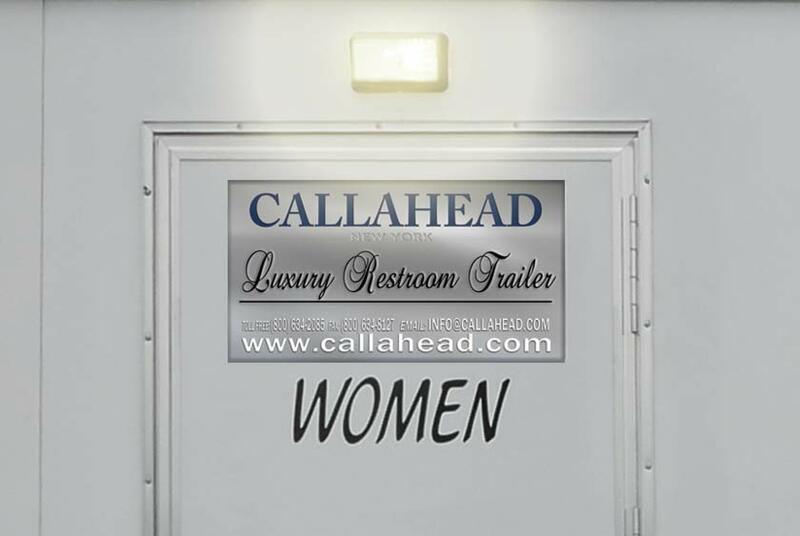 CALLAHEAD's FIFTH AVENUE Luxury Restroom Trailer is a 3-station rental with a chic contemporary design. 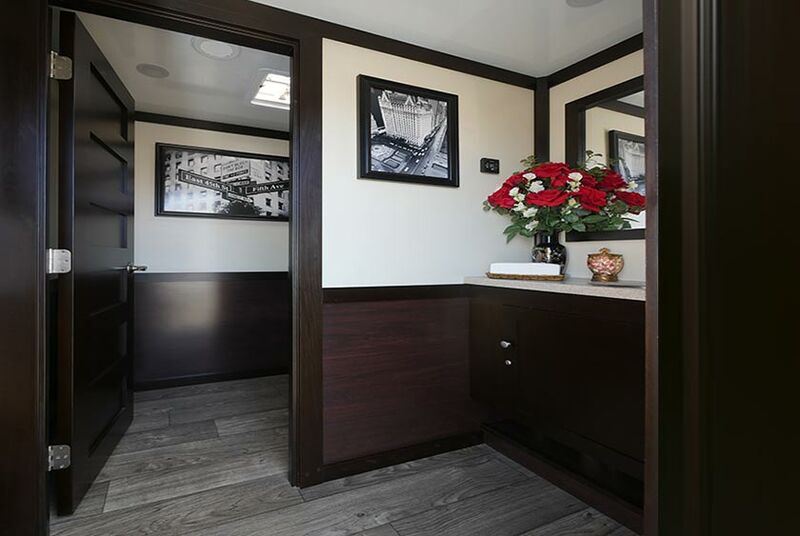 This 12.5-Foot luxury restroom trailer will provide clean restroom facilities for any social gathering requiring more than one restroom. It also is equipped with separate women's and men's facilities. 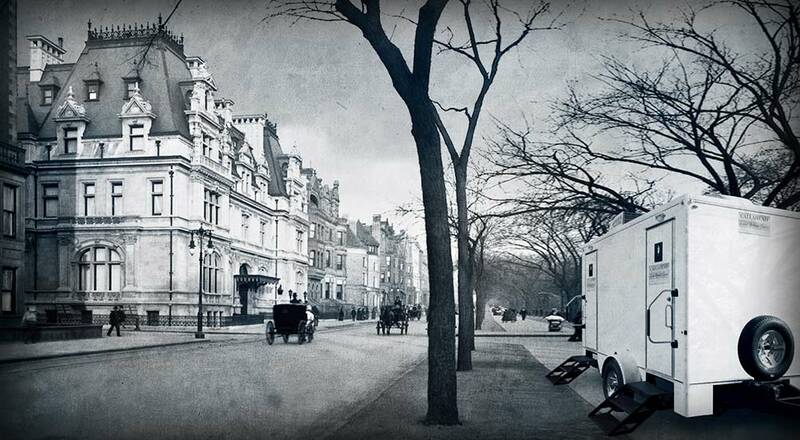 The FIFTH AVENUE has all the extra VIP amenities you would expect in the world's finest luxury resorts. 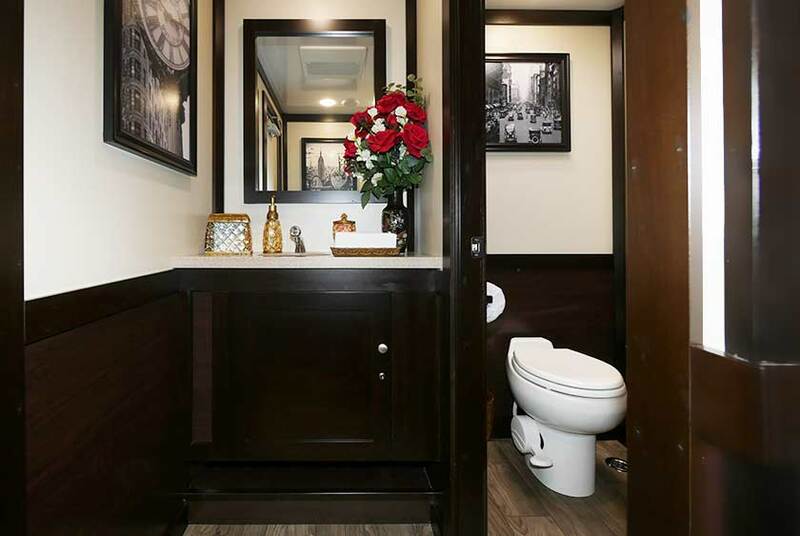 This is a restroom trailer ideal for weddings, corporate events, or any social gathering where you want the best in bathroom facilities for your guests. 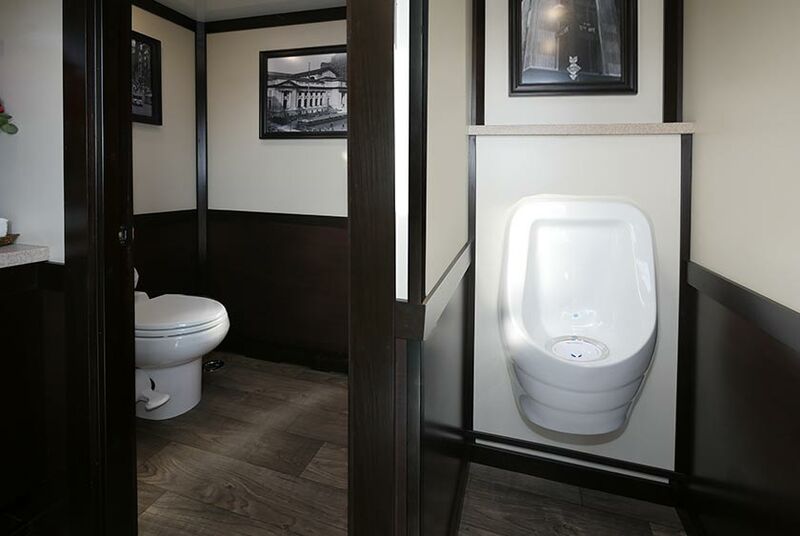 Both the women's and men's restrooms include a large private bathroom stall, sophisticated framed artwork, elegant ﬂoral arrangement, thermostat heat and air conditioning and a surround sound music system. 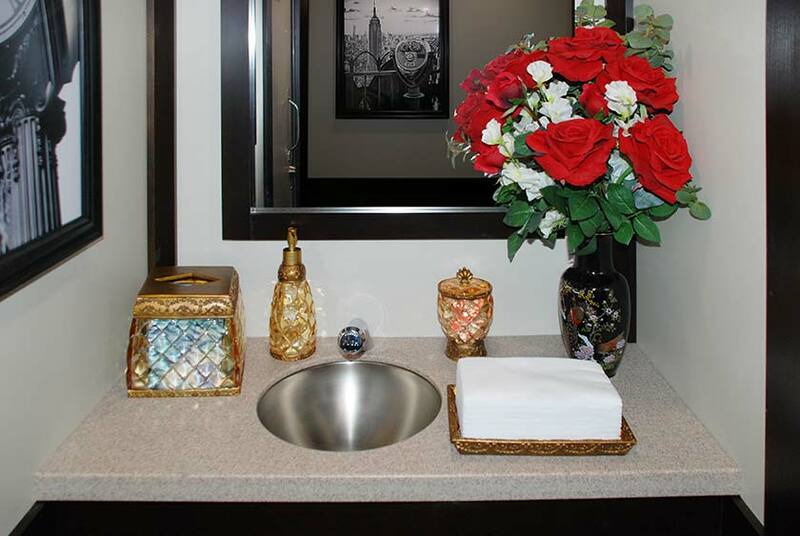 The vanity area includes a stainless vessel sink, mirror, designer antibacterial soap dispenser, hand towels, filled tissue holder and candy dish for a pampered restroom experience. 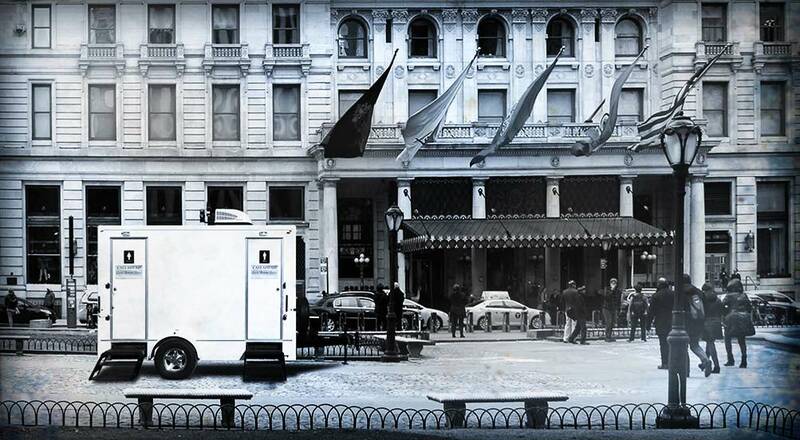 Once guests step inside, they will feel like they walked into a restroom in one of New York's finest restaurants. 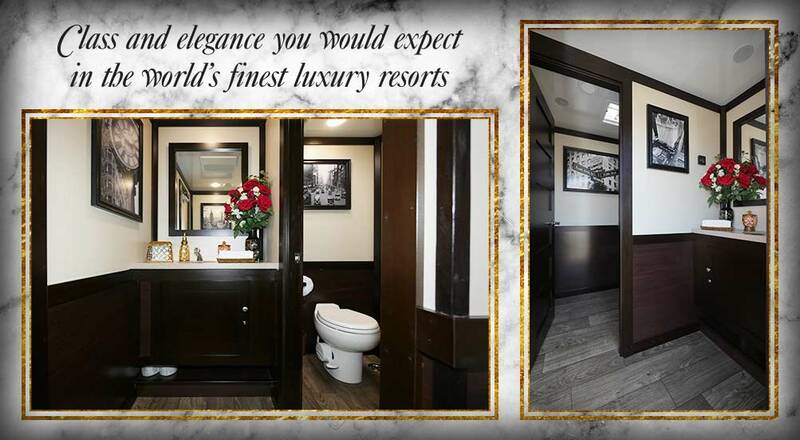 The women's restroom has a deep and spacious fully enclosed private stall with an ebony stained wood lockable door. The men's bathroom includes a large bathroom stall plus a separate Sloan waterless porcelain urinal with walls on three sides for privacy. 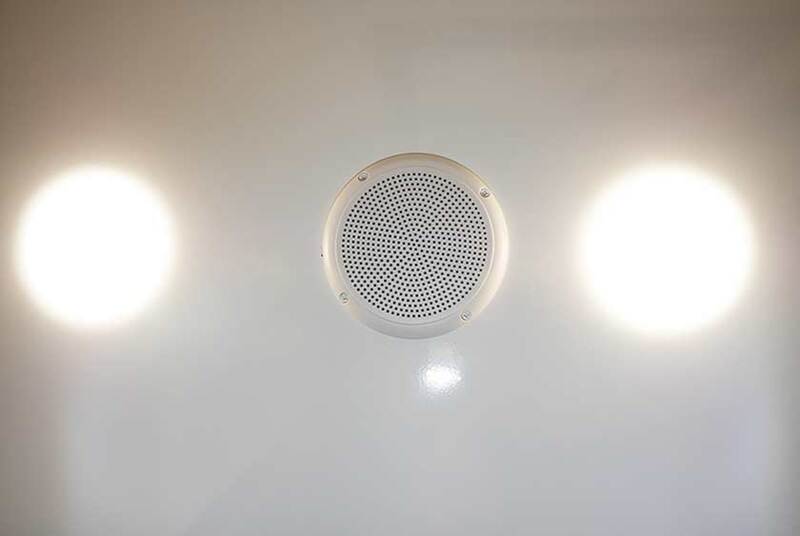 The FIFTH AVENUE Restroom Trailer has outdoor lighting to accommodate day or nighttime. 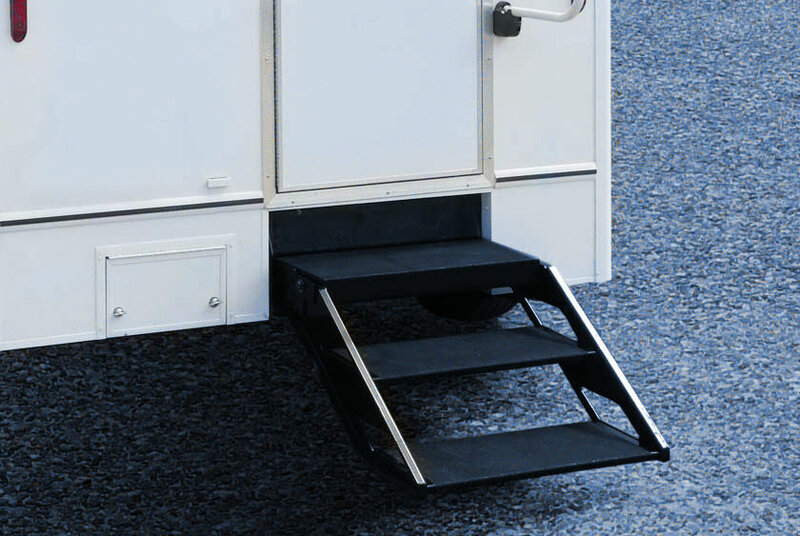 The entry's ﬂoating staircase has a slip-proof surface and aluminum handrails. The doors exterior are properly labeled and equipped with our CALLAHEAD signature signage displaying you have the best in portable restrooms. 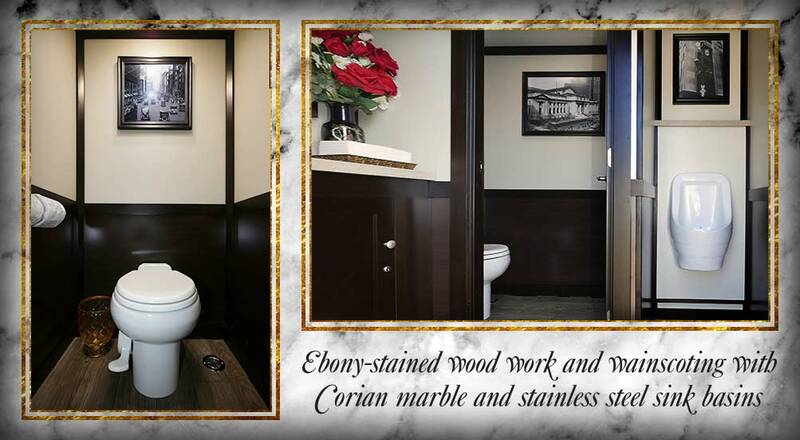 Ebony-stained wood trim work and wainscoting goes throughout the entire restroom trailer.